The world's greatest marathon took place on Sunday, April 13th and we were in London to cover it for you as only LetsRun.com can. See our special coverage below. More coverage will be put up this week after the race. *Men's Post Race Videos/Interviews Lel, Ryan Hall, Ryan Hall's dad and granddad, More. LetsRun.com Ryan Hall Refelcts On his Incredible Run We tell you (and let you watch) what Ryan, his dad, his grandad, his coach and even Martin Lel had to say about Ryan. Lel was full of praise for the American and shocked by Ryan's attempt to get the pacemakers to go even faster. If Hall didn't already have your respect, he does after reading this article as he pays homage to a throwback type of guy Steve Jones. Text and Video. LetsRun.com 2008 Predictions We do the impossible and try to predict a marathon. LetsRun.com Ryan Hall's Coach Terrence Mahon Assesses Ryan's Chances "I would not be surprised if he won the race on Sunday" We sat down and talked to Mahon about Ryan Hall's meteroic rise in the marathon, expectations for Sunday, the pressure Mahon feels in coaching Ryan and Deena, the mental side of coaching, the 1:02:30 half way pace, and much more. Text and video. LetsRun.com! Wejo Speaks: Friday in London (With Ryan Hall) Wejo goes behind the scenes and tries to give you a little glimpse what's it's like marathon week in London. Ryan tried to keep himself entertained by watching a math race over 800m bewtween his wife Sara and his coach, Terrence Mahon. LetsRun.com! London Tibbits Bank fo America Chicago Marathon inks with Nike, Paul Tergat's military comitment, Kenyan athletics taxes, Kenny B and of course Alan Webb. *Ryan Hall Update: 34:25 Video Interview. 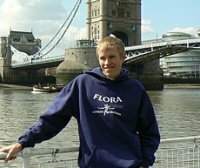 We'll have more on Ryan, and our 2008 Flora London Marathon Predictions by Saturday but wanted to get this up. LetsRun.com 2008 Flora London Marathon Women's Press Conference: The $250,000 and $500,000 Ethiopians Adere and Wami Set to Battle Huge paydays don't seem to have killed the desire of the two Ethiopian stars. Gete Wami is actually upset Paula Radcliffe isn't here to push her. *Video Highlight of Press Conference at link above."